We've been looking at International English. This month we're going to look at International English at Christmas time. How will you celebrate? What words will you use? The word "Christmas" comes from the old English Cristes Maesse, or the mass of Christ. Across the globe, Christmas Day is one of the most festive celebrations. Although greatly commercialized in many countries, it is a Christian holiday held in memory of the birth of Jesus Christ. No one knows the actual date of Christ's birth but most countries celebrate it on December 25th, although in some countries such as those that follow the Russian Orthodox calender, it is celebrated on January 7th. Many homes have decorated Christmas trees, real or fake and many families decorate their homes inside and, especially in America, outside their homes as well. In many cultures Christmas is a family affair with family members traveling many miles to celebrate together. Other homes hold bring-and-share meals for many friends. In many countries, Christmas Day is a public holiday and all businesses are closed for the day. Across the world, cities go to great lengths to decorate their streets and main shopping centers. Most churches have special Christmas Day services with carol singing and often they hold mince-pie celebrations. Within the family, gifts are exchanged and many children believe in Father Christmas, or Santa Claus. In the past, Christmas cards were sent and received but in many lands that custom is rapidly dying out due to the expense of the postal system and of the cards themselves. 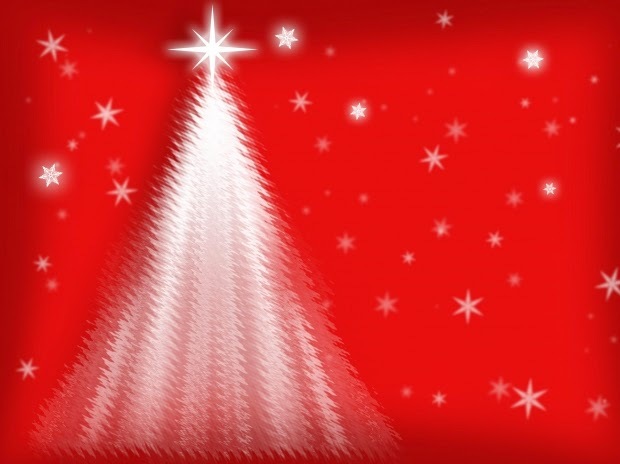 Christmas traditions vary from country to country, including such elements as lighting of Christmas trees, hanging of Christmas stockings, Advent wreaths on doors, mistletoe overhead, candy canes, Nativity scenes, carol singing, fasting, midnight mass, burning a Yuletide log, pulling crackers and many others. "Christmas cake, Boxing Day 2008" by SMC. Christmas meals also vary wildly. In Nigeria, rice dishes or stews are often served, as is pepper soup with fish, goat or beef. Japanese Christmas cake is a white sponge cake covered with cream and strawberries, and believe it or not, thanks to a successful advertising campaign in the 1970's, eating at KFC around Christmas is regarded as a national custom! In the USA and many of the British countries, the traditional Christmas dinner features roast turkey and stuffing (sometimes called dressing), ham or gammon, and other meats, with a wide variety of cooked vegetables and roast potatoes. In some countries such as the UK and South Africa, the traditional meal is accompanied by the pulling of Christmas crackers which contain jokes, toys and paper hats. In the Southern Hemisphere any dreams of a White Christmas are exactly that—dreams, as Christmas falls mid-summer. Although South Africans and Australians often follow a similar traditional meal to England and America, it is becoming increasingly common to serve barbecue meals (braai in South Africa) with salads. No matter where you go in the world it is likely that you will find some form of Christmas celebration, and people will greet you in words only used once a year. In America you are likely to be wished a Merry Christmas! While in the UK, it's more likely to be Happy Christmas! 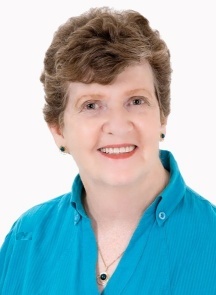 Please visit Shirley through ShirleyCorder.com, where she encourages writers, or at RiseAndSoar.com, where she encourages those in the cancer valley. You can also meet with her onTwitter or FaceBook. I did something real stupid here and accidentally deleted the post. Although I've been able to reconstruct the post thanks to Feedburner's cache system, I can't replace the comments! Sorry to all those of you who left a remark. Please continue to make comments on my future posts. This is the first time I've done this in over a decade of regular blog posts! Okay, I've managed to find the comments (on today's post!!!????) so I've copied and pasted them back in. Although they all seem to be from me, that's because I've pasted them in. What fun. Wow. Great that you figured out Feedburner's cache system. Glad you got the post up again! Thanks for your help in removing the comments from the wrong post! We seem to have the Christmas post up and running again. Melinda Brasher December 30, 2014 at 2:40 PM said: Here in the Czech Republic the traditional Christmas dinner (on the 24th) is carp and potato salad. And most people make anywhere from 5-25 varieties of Christmas cookies, some amazingly fancy. Then they may not make any more cookies until the next Christmas. Thank you Melinda. How interesting about the cookies! And the carp and potato salad. So different to us. Soursedey Bonne Noel. The commercial side of Christmas has definitely reached Cambodia with Santa Suits, Christmas Trees, Tinsel, and Christmas Cards and wrapping paper now available. This year I was privileged to sing in a Community Choir's Christmas Charity concert and we say many Christian Carols. The English speaking congregations hold special services, some on Christmas Eve and some on Christmas Day, while Khmer churches often hold their Christmas services the weekend before or after 25th December, since Christmas Day is still a normal work day here in Cambodia. Soursedey Bonne Noel. Thanks so much for this, Karen. Soursedey Bonne Noel to you as well! Or Gelukkige Kersfees! Feliz Natal. In Brazil we found that people's favorite Christmas memories had to do with the best Christmas program at church. rather than family gatherings. We concluded that this was because often the person we knew was the only believer in their family, so the church was the center of their celebration. As to food, for immigrants it seems to be a roots thing. I married into a Scandinavian family in Minnesota. We always have potato sausage, and Swedish meatballs on Christmas Eve, with lefse (a flat potato bread) and pickled herring. Lots of churches hold lutefiske suppers. (Don't ask; you don't want to know.) When we worked with Swedish missionaries they looked at me funny. That is everyday poor-people food, not celebration fare. But it was no doubt comfort food to Scandinavian immigrants to North America, and that's what they wanted at Christmas, so we still do it. Thanks so much for sharing this, LeAnne. It's amazing how different customs are across the world. It has been fascinating researching this. Gelukkig Kersfees to you to! Shirl, interesting look at Christmas around the world! Great video also! Glad you enjoyed it Karen. I'm amazed at the differences there are across our little globe! One of these days I'll travel at Christmas and get to use this! Hugs to you, Shirl. Caroline, every time you write about the Christmas season you can use some of this. I can't tell you how often people tell me to "keep warm this Christmas!" That is not a problem for me and just shows they don't know I live in the Southern Hemisphere where Christmas Day is usually stifling, and we don't have air conditioning in our homes. Hugs back. I used to love the Midnight service at the Anglicans. Full of candles and incense and bells. Sadly it's not safe to do that anymore. I do still love the bacon rolls we have on Christmas morning. We also enjoy bacon rolls on Christmas morning. We must be related, LOL! The only midnight service I ever enjoyed was the Watch-night service as we ushered in the new year. You're right. That too is no longer an option in S.Africa. Do any others have midnight services at Christmas or New Year?